It's been a few years coming, but David Oyelowo and Oprah Winfrey are finally getting The Water Man off the ground, only now with Oyelowo behind the camera. Originally set up at Disney, the film now has a new home with Winfrey exec-producing and Oyelowo pulling triple duty. Deadline reports Oyelowo will make his feature-length directing debut on The Water Man, while also producing and starring in the film. Emma Needell's Black List script follows Gunner, a precocious kid who goes off in search of the mythical Water Man in hopes his ability to cheat death can save his dying mother. The story has been described as Stand by Me meets E.T. meets Close Encounters of the Third Kind. 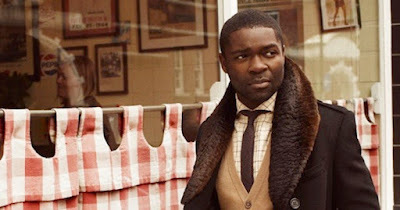 Oyelowo will play the boy's father Amos, who sets out to find his wayward son. Joining Oyelowo in the cast are Rosario Dawson, Lonnie Chavis (This is Us), Amiah Miller (War for the Planet of the Apes), Alfred Molina, and Maria Bello (Coyote Ugly). Winfrey and Oyelowo have worked together previously on Lee Daniels' The Butler and on the Oscar-nominated Selma.